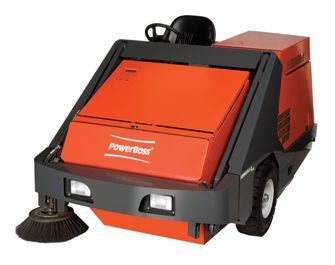 The PowerBoss Armadillo 9X Sweeper offers a high quality sweeper at an affordable price. It is manufactured to a standard of heavy-equipment design with a 1500 lb. (22 cubic ft.) capacity hoper, 48” main broom, 26” side broom, and a 64” multi-level high dump system allowing it to clean up to 184,800 square feet per hour.